What will it be like when one of the boys leaves the nest? Well, quieter. A little less laundry. But how will your boys react? Get ready for changes in the family dynamic. Each son has an effect on the family unit, and together, the family finds a balance. Remove one son from that equation and things change! When our oldest left for college, things shifted at home. I wasn’t prepared for the way the boys interacted differently each time a son left the day-to-day picture. So, prepare. It’s hard to predict exactly how this will affect your family, but the more you involve your boys and prepare them for one’s leaving, the easier it will be. If you concentrate on the son leaving and ignore his siblings, you’ll feel a big hole when he leaves. Realize that life is about to change for everyone. Involve your boys in the process. Don’t be afraid to talk about it. Take the boys shopping, and let them pick something out for big brother’s new apartment or dorm room. Make the little brothers a part of this exciting time. Of course they’ll miss big brother, but encourage your sons to be happy for the brother who’s branching out. Remind them that this is a normal, exciting part of life that they’ll look forward to as well. Institute a new family holiday – Brother’s Day. Our calendars include Mother’s Day and Father’s Day, but not a day for siblings. As a family, choose a day (maybe before the first son takes off) and have the boys celebrate that together. They can continue the tradition for years to come. Big Brother will probably be home for holidays, but plan a family visit to see brother, too. And if your next son is old enough, a visit on his own to see his big brother is always a treat. If the eldest always mowed the lawn, this will fall to another son, but remember to move other duties down to the younger ones as well. Be sensitive and don’t load everything on the oldest brother at home. Help your boys step up to their new place. In a family of boys, the second in command will now see himself as top dog. Help him with that new responsibility; he needs to learn to use it wisely and not to abuse it. Use technology to help the boys maintain contact. Cell phones and texting are great for this. If the ones at home are too young or you’ve chosen not to go the personal cell phone route, remind your son to call home for his brothers’ sakes. Send packages—and let everyone contribute. When you send a package to the son who’s away, let the brothers include a note or pick out a special treat to enclose. This will help the son who’s away and the ones who are still at home. The bottom line? Be flexible. The boys are going to grow and change, and sometimes their bond will stretch. Be there for them; help them through the changes and, as they grow, they’ll learn to maneuver through change on their own, their brother bond intact. Believe it or not, someday you’ll miss the noise. And even that basket full of dirty laundry. And they’ll be young men. But no matter what, you’ll always be Mom. Question: What are some other ideas for keeping in touch as your boys leave home? 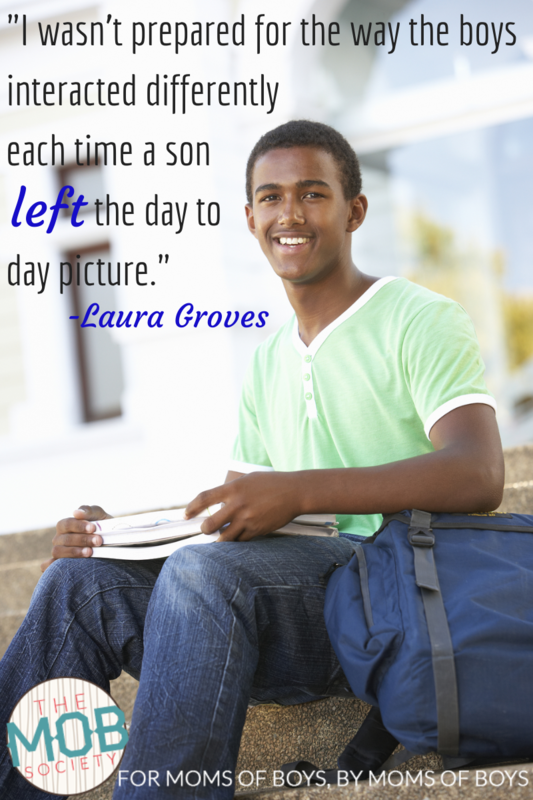 Laura Lee Groves is a writer, teacher, speaker and the mom of four boys. She’s the author of I’m Outnumbered! One Mom’s Lessons in the Lively Art of Raising Boys and a novel, Pearl. You can visit her at OutnumberedMom.com. If you’ve been holding off on getting your copy of Praying for Boys: Asking God for the Things They Need Most, TODAY’S THE DAY! 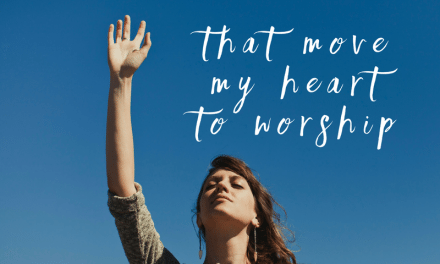 The eBook version is on sale for only $1.99! TODAY ONLY! Grab the ebook version of Praying for Boys for just $1.99! Grab a copy for you and a friend for your Kindle, Nook, or at any other major online retailer! Hurry! This offer is only good today (2/10/14)! NextThe First Time He Bit. . .
Can I just say — my boys are 4, 3, 20 months, and 6 weeks — and this post makes me so sad! I know I have a ton of fun years together, but even just watching how much #2 misses #1 when he’s at his piano lesson (for all of 30 minutes! ), I know it’s going to be so unsettling when they start leaving the nest. These are great ideas, I mean nothing unkind about the post. 🙂 Just tugs at my heart!